The one binding reality of the foreign policy objectives of America and the United Kingdom, irrespective of the political party in power in America, is the anti-Christian reality that usually emerges. For example, what did NATO do to protect the Orthodox Christians of Northern Cyprus? Equally, Iraq went from having a Christian Deputy Prime Minister, to then the vast majority of Christians fleeing Iraq because of the United States-led invasion. Similarly, in Syria, it is abundantly clear that the vast majority of Christians seek the protection of the Syrian armed forces. However, despite this, America and the United Kingdom backed Islamist forces that cleansed Christians and other minorities including the Alawites in Syria. Hence, despite the reality of past history, from Serbia helping progressive forces in both world wars, to facing the Islamic sword of the Ottoman Empire and fighting against Croatian fascism and NAZISM, all this was ignored. Likewise, the mainly Muslim Albanianization of Kosovo based on the connivance of Communist centralism under Tito was fully known in relation to altering the demographics. 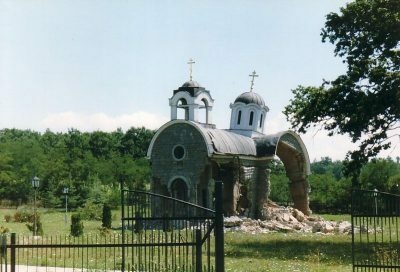 Despite this, the forces of America and the United Kingdom then sided against the minority Orthodox Serbian population in Kosovo by encouraging the ethnic cleansing of minorities. This also includes Gypsies and other groups who were forced to flee from Albanian forces in this ancient Serbian land of Kosovo. Turning the clock forward to the last few days, then once more something is afoot because the Kosovo Albanians are too weak to act without the support of major Western powers – notably America and the United Kingdom. Therefore, for Kosovo Albanians to order trade sanctions on Serbia and then send special forces into Orthodox Christian areas of Northern Kosovo; this provocation is being planned and coordinated by higher players. Indeed, the fear in Myanmar, Serbia, and Syria are that because of recent events involving a chilling murder in Turkey; then the allies of Saudi Arabia might seek diversionary tactics. After all, after the Siege of Mecca that put enormous strains on Saudi Arabia several decades ago, this was followed by America and the United Kingdom supporting international Islamists to declare war in Afghanistan. Hence, this event enabled a different focus to emerge and for Saudi Arabia to restructure to the events that unfolded. Indeed, for the United Kingdom that is struggling to overcome the events of Brexit, then the one recent policy under the current Conservative government is being anti-Russian Federation to an extreme. Therefore, with the Russian Federation being a natural ally of Serbia, it is known that more tensions will ensue and this will favor political and military hawks in Washington and London respectively. It should be noted that under the auspices of America, the United Kingdom, and NATO that Orthodox Christians have been cleansed in Northern Cyprus and Kosovo respectively. Equally, in Bosnia, these same Western intrigues sided with international Islamic jihadists in the conflict that erupted several decades ago. Indeed, America even openly allowed Iran to break the arms embargo during the crisis in Bosnia. 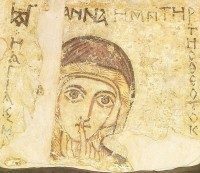 Also, ratlines show the connivance of tolerating al-Qaeda – and other Islamists forces – to butcher Orthodox Christians during this brutal war. Serbia needs important international nations to support this nation because intrigues are afoot – and the timing of events in Turkey – and the endless goading of the Russian Federation in the United Kingdom – along with the usual hawks in America – can’t be ignored. After all, the Kosovo Albanian leadership heavily relies on the usual Western powers that destabilize. Therefore, these intrigues will be emanating from the corridors of power outside the region that are both anti-Serbian and anti-Russian in nature – and that seek to protect a close ally that is in trouble because of events in Turkey.